Tony K.T. Leung is a Toronto based composer whose music has been performed and broadcast in Australia, Belgium, Denmark, France, Hong Kong, Korea, Luxembourg, Ukraine, the USA and Canada by leading contemporary music ensembles. 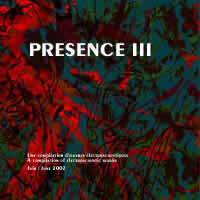 Recordings of works by the composer include CD releases from Luxembourg Sinfonietta, ERMMedia, and Canadian Electroacoustic Community. Born in Hong Kong, Tony discovered music through his first instrument, the erhu, and later the cello. As a youth, he arranged music for a Chinese orchestra, which sparked an early interest in western music and composition. From 1989 to 1992, he studied composition privately with University of Toronto Professor Chan Ka Nin. He received further training through workshops with Arraymusic, Conductors Guild, Esprit Orchestra, National Arts Centre, Thunder Bay Symphony Orchestra, and New Adventures in Sound Art. Other performers of his music include Sound of Dragon Ensemble, Little Giant Chinese Chamber Orchestra, Hong Kong New Music Ensemble, Windpipe Chinese Music Ensemble, Vancouver Chinese Music Ensemble, Vienna Saxophone Quartet, Motion Ensemble, York Symphony Orchestra, and Regina Symphony Orchestra. From 2009 to 2018. he served as Composer-in-Residence at Toronto Chinese Orchestra. In 2003, his chamber music “Six Degrees of Separation” was selected for the ALEA III International Composition Competition finalist concert in Boston. 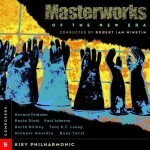 In 2006, his orchestral work “In the beginning” was released on the ERMMedia CD “Masterworks of the New Era,” Vol. 9, performed by Kiev Philharmonic. 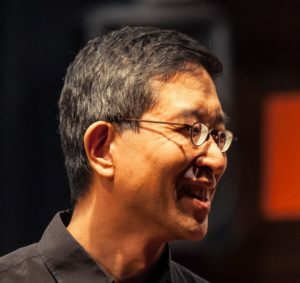 As a conductor, he has directed Dim Sum Ensemble, Toronto Chinese Orchestra, Hong Kong Juvenile & Youth Chinese Classical Orchestra, Vancouver Chinese Music Ensemble, and York University Chinese Music Ensemble.